Your groom wedding toast is the opportunity to put a romantic signature on the most memorable day of your entire life. It's also a great chance to show your genuine appreciation to all the people who came on your big day. Don’t be caught on that day with a wedding speech that lacks substance or effort. A wedding toast that is genuine, from the heart, and well thought out will cause your beautiful bride to feel like she is the luckiest woman on earth. Plus, could gain you some points with your new father in law! A compelling, emotion-stirring wedding toast sets the stage for a spectacular reception that neither one of you will ever forget. Set the tone for your marriage by communicating to her why she is the only one for you. Pour your heart out to her in a way that causes her to fall in love with you all over again. Melt her heart and bring joy to her soul with your carefully crafted, personal, heartfelt sentiments about why she is the only one for you. Keep these thoughts in mind while you prepare and deliver your toast, and yours will be one of the wedding toasts that gets talked about for years to come. Keep your toast short. The maximum time for your wedding toast should be no longer than 2 or 3 minutes. Some wedding toasts are no longer than 2 to 3 sentences long. You want it to be memorable for all the right reasons. Being too long is not one of those reasons. Keep it short, simple, and sweet and you will be headed in the right direction. Don’t ramble on or sound like you don’t have a clue what to say. If you prepare beforehand and practice the toast a couple times, it will help your confidence and help make it more memorable and genuine. Practice will prepare you to do this without much effort, even if you get nervous easily about speaking in public. Your groom toast doesn’t have to sound like an overly flowery speech or a university thesis. Use regular words that you normally use in everyday conversation. Be funny, if that's you. Decide on the main 2 or 3 things you wish to say in advance, and speak briefly from the heart about those things. Speak to your guests like you normally speak to them in everyday conversation. Avoid embarrassing your bride. Don’t use jokes that could offend your audience. Be sensitive to the fact that children and some people you may not know very well are present. 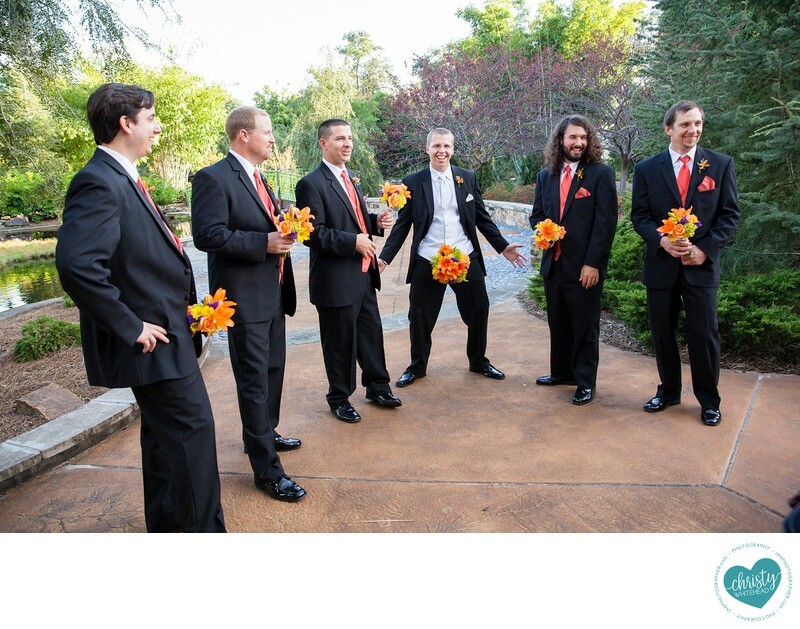 Maintain a positive atmosphere of love, acceptance, and fun when you deliver your groom's toast. That way, the toast will make every one of your guests smile and no hard feelings will be created as a result. Trust me, your best man and maid of honor speeches are coming up and those usually get embarrassing!! !